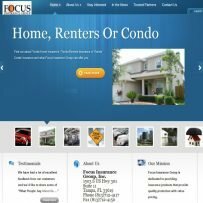 Focus Insurance Group - Collective IT Solutions, Inc.
Focus Insurance Group is a local insurance company that we use for our business location. This website is excellent for information purposes with regards to insurance offerings. It provides useful links, a contact page and interesting Blog information.